RapidScale, a cloud services innovator, delivers world-class, secure, and reliable cloud computing solutions to companies of all sizes across the globe. Its state-of-the-art CloudOffice platform and market-leading cloud solutions are the reasons why RapidScale is the provider of choice for leading telecommunications providers, VARs, MSPs, and agents throughout the United States. RapidScale is not only delivering a service but also innovating advanced solutions and applications for the cloud computing space. HotLink Corporation is on a mission to dramatically simplify IT management complexity with the first transformation platform for heterogenous and hybrid computing infrastructure. HotLink services include corporate IT, development and testing, and business units spanning a wide range of commercial industries, governments, and educational institutions. HotLink’s advisory board includes visionary leaders from Facebook, E*TRADE, Equinix, AstraZeneca, Electronic Arts, Clorox, Citrix and BMC. HotLink is a privately held, venture capital backed company based in Santa Clara, California. Cloudyn continually collects utilization, consumption, availability, capacity, and cost metrics for your monitored cloud resources: Compute (e.g, AWS EC2), Database (e.g, AWS RDS) and more. Cloudyn continually seeks the optimum balance of available pricing options and potential cloud configurations in consideration of your historical usage pattern. 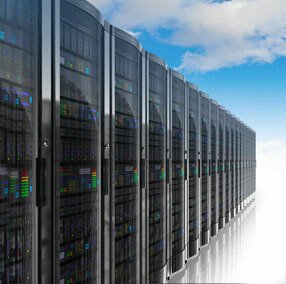 NewCloud Networks offers Low cost, custom solutions for backup and disaster recovery and virtual private data centers that are flexible, scalable, secure and compliant. Their virtual servers, virtual desktops and hosted email solutions allow them to integrate into any size company efficiently. Small businesses that don’t have a dedicated IT person, or simply need a technology ally, trust CBeyond as their service provider and technical support. Their Total Cloud Data Center ​offers 100% network uptime SLA, 24x7 phone and email support, and enterprise firewall, virus, and intrusion protection. Cumulus Telecom has developed a strategic partnership with industry leader, Joyent. Joyent is the high-performance Cloud infrastructure company, offering the only solution specifically built to power real-time web and mobile applications. ​You can build reliable and resilient applications on the high-performance Joyent Cloud infrastructure. Their service powers the fastest-growing and most innovative mobile, social, media & entertainment, e-commerce, financial services and service provider companies.